The Difficult Second Movie - THE AMAZING SPIDER-MAN 2 | Warped Factor - Words in the Key of Geek. In 2012, after several years of franchise dormancy, the Spider-Man movie series was rebooted with The Amazing Spider-Man. Gone were the cast, crew and style of the highly popular but ultimately divisive Sam Raimi films, and instead we had a fresher, modern, and arguably more faithful take on the web-slinger, which breathed surprising new life into the perennial superhero favourite. 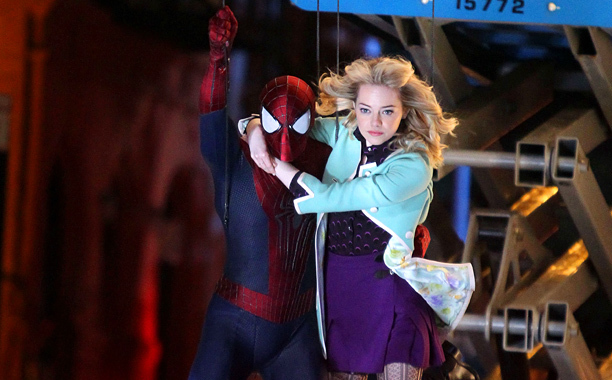 The winning combo of the perfectly cast Andrew Garfield as Spider-Man, and his highly likeable real-life girlfriend Emma Stone as Gwen Stacy, along with the youthful, more innocent and wide-eyed tone of the film instilled many fans with great confidence for the future. And so it was that almost immediately, The Amazing Spider-Man 2 was upon us. Of course, in the meantime... something else happened. Just a few weeks before the first film was released, The Avengers took the world by storm and suddenly the whole genre was undergoing rapid evolution. With this enormously successful and crowd-pleasing team-up of Marvel Studios' whole portfolio of superheroes, everything changed and suddenly a self-contained world was apparently not enough anymore. In the wake of The Avengers, the unfortunate The Amazing Spider-Man slipped out, following it so immediately that it hadn't yet got the memo - whereas everyone else had. Within months, DC was preparing a whole slate of movies to launch its Justice League, Marvel was coming on leaps and bounds and setting up a triumphant and seemingly endless run of solo films and Avengers features, and even the X-Men series planned a franchise-shaking new movie to bring together characters from all eras of the series. It's no surprise, then, that Sony decided that Spider-Man had to evolve - and it had to grow. With Spider-Man pretty much all alone in his self-imposed exile to Sony, however, this was not a wise idea. 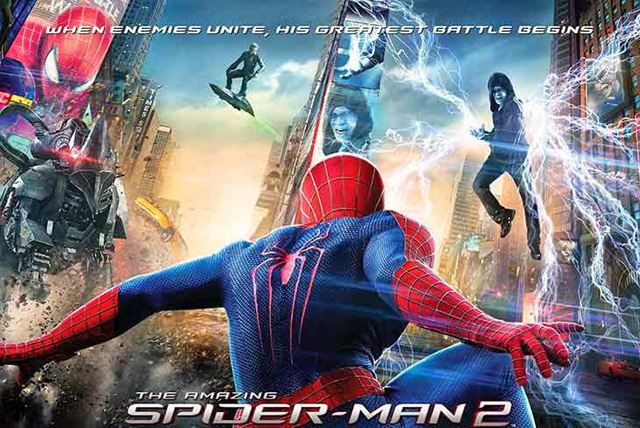 The Amazing Spider-Man 2 was planned not only as an expansion of the franchise and a significantly more packed movie than the last, but also as a gateway to an Avengers-style series of its own. And therefore, one villain was not enough. 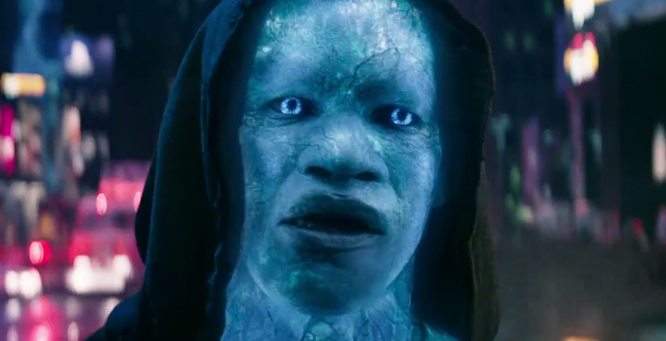 Two lead villains - Jamie Foxx's curiously realised Electro and Dane De Haan's rather insufferable Green Goblin - dominated proceedings alongside a weird cameo from Rhino and last-minute hints at the emergence of Doc Ock, perhaps Norman Osborn himself, and lord alone knows who else? The overall plot of the series also necessarily became vastly more complex and involved. Whilst The Amazing Spider-Man had merely implied potential avenues for the back-story of Spidey to be expanded, the second film took this thread and ran a million miles with it, setting up a very extensive series of reveals about the Parker family which were entirely new to the canon of the series - all designed to build a bigger world in which Spider-Man was just one inhabitant. But this is the whole problem with the film, and the main reason that the franchise ultimately failed. It just didn't work. The almost unbelievably over-stuffed two hours introduced so many characters and plot threads for future films that at times it seemed like we were merely watching a prologue for a bigger movie - which was indeed partly true. The ridiculously over-indulgent emphasis on villains was there to directly set up a Sinister Six film, as the first spin-off of the newly imagined Spider-Man Universe. The strange star-casting of Felicity Jones as Harry Osborn's assistant is there because it has been revealed that she was in fact none other than Black Cat, set for a bigger role in future movies. ...yes, this is the one where Gwen Stacy dies. And, in the main, it's handled pretty poorly, which is a real shame considering how wonderfully realised her and Peter's relationship is across both films. Firstly, the movie can't resist expanding this part of the story along with everything else. When Gwen and Peter stand atop the Brooklyn Bridge together and swear their love for each other as the Green Goblin approaches, you know what's about to happen, right? Nope, not yet! She comes out of this alright and is then taken to the considerably less exciting location of a non-descript bell-tower for her inevitable demise. However, this is not the main problem with Gwen's death. The issue is that it really should have been the great emotional climax of the film. This is, after all, the biggest and most tragic single event that has happened in either of these two films. But, astonishingly, the film keeps going for a significant portion of time. Indeed, it's so keen to keep on evolving and expanding the series without ever looking back that director Marc Webb makes the final, fatal mistake of cramming Peter's entire grieving process and resulting change in personality to a more mature and world-weary figure - one of the key pieces of character development in his story - into a 5-minute epilogue, before he snaps himself out of it and throws the costume on to tackle another new villain. And roll credits! I mean... what?! That just isn't good enough. 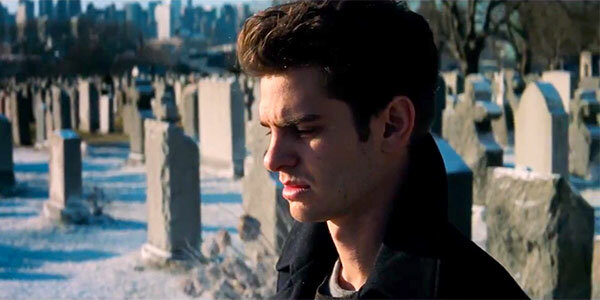 This is where The Amazing Spider-Man 2 ultimately falls apart. It is so massive, and so eager to get started on its next instalments, that it forgets to be a satisfying chapter in the story on its own merits - and it does not pay attention to the fundamentals. Because at the end of the day, there really has been a grave misunderstanding here of what these films should be doing. Spider-Man isn't a story about one super-powered person of many, and the rapid cavalcade of incidents, tragedies, villains and heroes that appear in every corner of his life. It's a story about Peter Parker, and no one else. The reason Sam Raimi's films, for all their faults, were so successful and largely satisfying, was that they understood this. Peter Parker only spent 10-15 minutes of each film under the mask and spent most of the films agonising over his personal life and coming to terms with growing up and his loss of innocence. The villains and supernatural happenings were just plot devices in the real story - that of Peter Parker and Spider-Man. 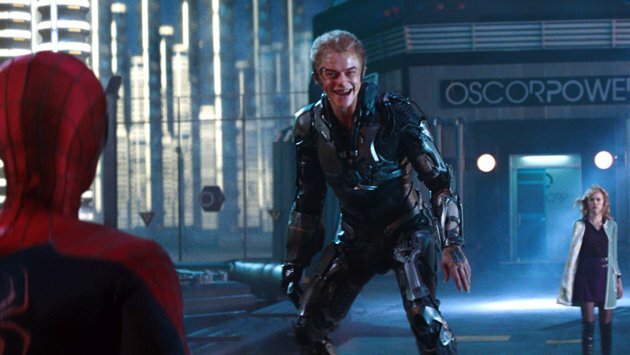 The Amazing Spider-Man 2, quite simply, isn't telling the same story. I should say at this point that it is far from a terrible film. It does indeed have many faults beyond those which I've listed here - including an appalling score from Hans Zimmer and an almost Star Wars prequels-level of reliance on CGI - but it does have its merits and is not entirely unenjoyable. The actual moment of Gwen's death is powerful and packs the necessary punch. Garfield and Stone are fantastic, and it's a great shame that the effortlessly brilliant Garfield never really got his chance to shine in the role - even putting aside my fierce crush on the guy. Ahem. There are also some highly impressive set pieces in here, and despite its failings, there is a clear effort being made here to really push the boundaries of the story. It's not an awful film, just an ill-advised one. Sadly, though, it just wasn't meant to be, and The Amazing Spider-Man 2, only two years on, already stands as a cautionary example to all franchise films of what can happen when you let your story get too big. The Amazing Spider-Man franchise is dead and buried now, and following a hasty recast and re-welcoming into the Marvel fold, the newly cast Tom Holland will make his first appearance as Spider-Man 3.0 in Captain America: Civil War - ironically, another film which appears to be risking making the same mistakes of over-indulgence. Let's hope that's not the case, and that when Spider-Man's next solo film franchise begins next year, lessons will have been learnt.